All of our building materials are hand-picked to ensure that our clients receive only the best. A garden shed, a pool cabana, a storage shed – we build it all! Personalize your project to suit the style of your home, your landscaping and your needs. Select your favourite style and then add finishes, doors, windows, colours and a broad array of additional options. Our designer is available to work with you to create the “look and feel” that you’re aiming for. Our modern world calls for new solutions to your space needs, without the headache, cost and time required for home remodeling. An office, a gym, a yoga studio . . . a place to pursue your passion! Our custom studios are a popular, cost-effective and efficient means of quickly gaining the space you need, while adding to the value of your property. Insulated, heated, and air conditioned, we build for Ottawa’s weather! We understand that people’s needs vary and we work with you to create a design that suits your property and takes into account how you plan to use your garage. This way, when all is said and done, you’re sure to be thrilled with the outcome. With most of our sheds, we arrive on construction day with raw lumber and everything needed to complete your project by dinner time. Our studios and garages are more complex and take, on average, a week to complete. We’re pleased to offer free delivery within Ottawa. 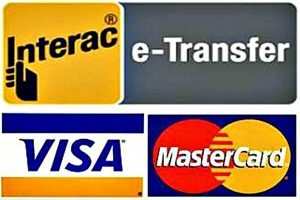 A travel surcharge applies for travel outside of Ottawa area, based on staff travel time from Bank and Hunt Club to your location. We stand behind our work, with a 3-year, bumper-to-bumper warranty on all of our structures – the best in the business. Interior and exterior finishes have extended manufacturer warranties. Met expectations and I had high expectations. Hard to find a company for custom sheds without a lot of bad reviews. Seeing all the 5 stars reviews I had my own skepticism. However everything went smoothly and I am a happy owner of a new shed. We are so pleased with our custom shed. Paula is great to work with. She is professional, friendly and approachable. The best thing about this company is their willingness to satisfy their customers’ requests. We made numerous changes to the standard model and incorporated many customized features, all with the help of Paula’s “yes we can” attitude. The builders were fantastic; the project was completed on time, on price and is a gem. I would highly recommend Summit to everyone. Five stars all round!! Some aspects of our backyard renovation project were not going well, but that all changed with Summit Sheds! They were quick, knowledgeable, friendly and built exactly what we’d expected with no surprises. You can’t go wrong with these guys. Our goal is to provide high-quality custom products, exemplary customer service and value for money. It’s that simple!